Yesterday I arrived in Braemar, having spent five days walking here from Fort Augustus, via Chalybeate Spring, Newtonmore, Glen Feshie and Glen Dee, including a mixture of low level and Munro bagging days. This afternoon I head to Gelder Shiel. Nice looking spot to pitch a tent ! 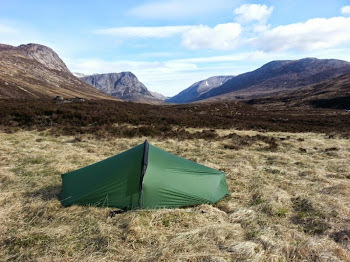 Thanks :-) It was a lovely spot in Glen Dee, roughly half-way between Corrour and White Bridge.